BANGKOK – Beach, Singhas, massage and go-go bars? Is that all you have planned for your Thai holiday? Like to make a bit of difference while you’re there? Then think about making a donation – large or small – to any one of Thailand’s amazing temples. These so-called “offerings” are the lifeblood of Thailand’s temples, and are essential to their restoration and upkeep (and help ensure they look all shiny and spiffy for you tourists). They also help to feed and clothe the resident monks. There are lots of ways you can help. Probably the most common method is through “gift offerings” where you can buy all sorts of items at the temple, which you then donate. Common items range from pre-packaged buckets filled with basic essentials (food staples, medicine, clothes, blankets) to smaller items like flowers, candles, incense and even gold leaf to adorn statues at the temple. Or, if you prefer something more straightforward, there’s the simple “cash offerings” which can be done in the name of someone else (e.g. a dedication offering, perhaps to someone deceased) or anonymously via the nearest donation or “baht” box, usually located at the entrances. Regardless of how you choose to donate, keep in mind it’s all for a good cause. 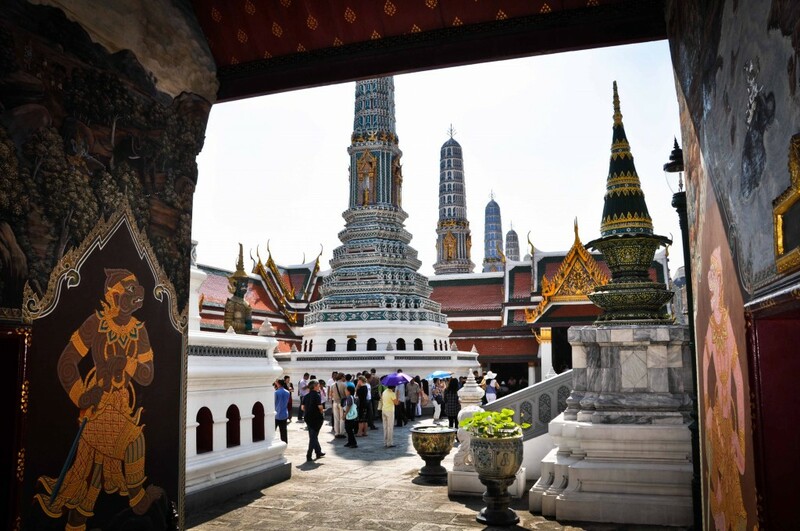 Plus, you’ll be supporting one of the very things most dear and special to the Thais – their temples. Think of it as payback for you walking all over their cultural heritage. Hey, it might even earn you some good karma…you never know.